Native To: Most of the continental United States and Eastern Canada. Habitat: Prefers rocky soils, and full sun. Commonly occurs in open species such as prairies, fields, and roadsides. Description: This herbaceous perennial grows from June to August, at heights from 1 to 3 feet. It grows in clusters, and shows off umbels of bright orange to yellow flowers. 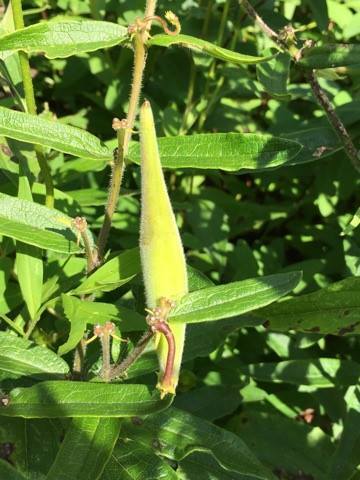 Flowers later turn into large seed pods that are 3-6 inches long. The seeds that emerge when the pod splits open are silky-tailed in order to be dispersed by wind. Stems are hairy, and leaves are lance-shaped. Unlike many of the other Asclepias species, A. tuberosa does not have a milky sap in its stems. Care: This plant is quite low-maintenance. It is drought-tolerant, and deer resistant. It will not produce flowers until its second or third year. Mature plants will self-seed, and reproduce where planted. This plant does not transplant well due to its deep root system, but the seeds can be spread manually to have in different areas. This plant is commonly used to attract butterflies, as the flowers are an excellent source of nectar. 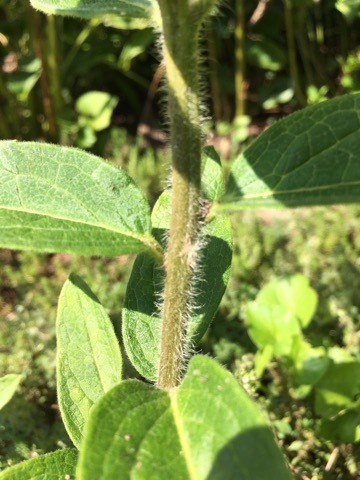 Additionally, milkweed leaves are the only kinds of leaves that monarch butterfly caterpillars can eat, so the butterflies seek out these plants to lay their eggs. Find It: On the side of our Great Lawn that is closest to the Silver Educational Center is our Perennial Garden. 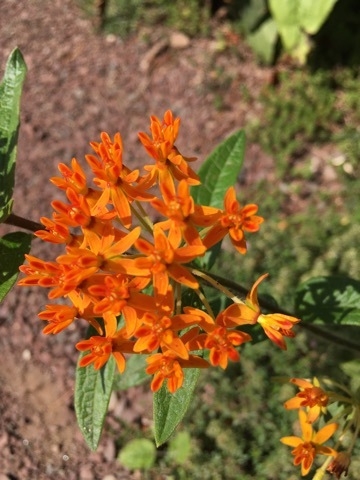 A. tuberosa can be found throughout the Perennial Garden, and keep an eye out for monarch butterflies and caterpillars! Take a picture and tag us using #foundatthebartlett when you find it!